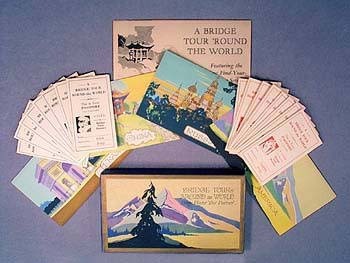 These two delightful bridge tally score sets were made by Congress and take the players 'Round the World to a variety of interesting destinations such as China, Russia, America and France. Enough to provide for eight table play, each set is unused and includes four colorful score cards of eight rounds each, with 16 different international passports. 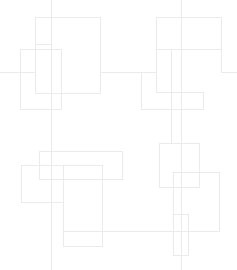 One set includes a sheet offering suggestions for making the bridge party unusual and memorable. Players are encouraged to participate in costume and become a "refugee", "alien", or "foreigner" and are issued passports from across the globe, with instructions on who to travel with. Marked with 1925 patent dates, the boxes show very minor corner wear but are otherwise in superb condition. Picture shows contents of one box only.